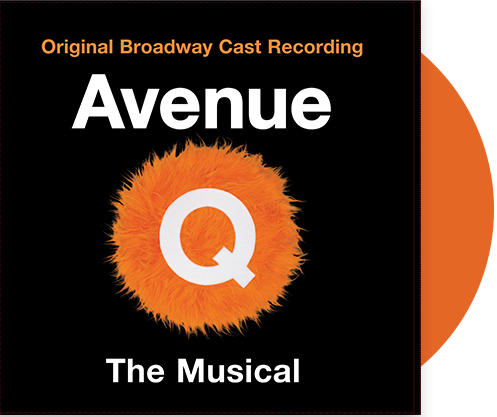 Avenue Q 15th Anniversary Vinyl Out Now! Masterworks Broadway celebrates the 15th anniversary of the Tony Award-winning Best Musical, Avenue Q with the release of the Grammy-nominated original Broadway cast recording on vinyl. Available exclusively through Books a Million, the deluxe release features a 2-LP gatefold set with translucent orange vinyl and lyric insert. Winner of four Tony awards, including Best Original Score for Robert Lopez and Jeff Marx, the original Broadway cast included Tony nominees John Tartaglia and Stephanie D’Abruzzo as well as Rick Lyon, Natalie Venetia Belton, Ann Harada, Jordan Gelber, and Jennifer Barnhart. This one-time pressing of 2,500 albums is only available at Books a Million stores and online at booksamillion.com.